Can we call kids Smart? Let`s think about it! At whatever age smart people develop the idea that they are smart, they also tend to develop vulnerability around relinquishing that label. So the difference between telling a kid “You did a great job” and “You are smart” isn’t subtle. And when you praise children for being smart, you expect them to fearlessly conquer new academic challenges because they believe they’re smart. But many psychologists and educators claim the opposite is true: that labeling kids as “smart” doesn’t stop them from underperforming — it might actually cause it. Why did this happen? When we praise children for their intelligence, we tell them that this is the name of the game: Look smart, don’t risk making mistakes. Researchers, including Kang Lee from the Dr. Eric Jackman Institute of Child Study at the University of Toronto, did an exercise with 300 kids between the ages of three and five. The kids were told to guess whether a card had a number higher or lower than six. In the initial trial, some kids were told they were “so smart” when they got the answer right, while others were told they “did well this time” or were not praised at all. In a later round of the same game, the experimenter left the room, telling each kid not to look at the card. Kids who were told they were smart were more are likely to peek when they thought no one was looking. 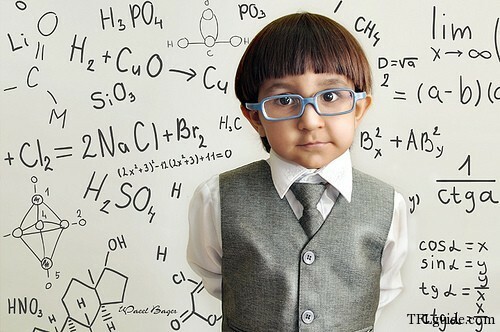 Researchers concluded that kids know the difference between being smart and doing something smart. And when adults praise kids’ innate ability rather than their single performance, it makes them inclined to want to uphold that positive perception of their intelligence—and they’re willing to cheat to do so. This isn’t the first time researchers have found negative repercussions associated with praising kids for being smart. A previous study found that telling kids they were smart undermined their motivation to achieve in the future. The idea is that when we praise kids for being smart, those kids think: Oh good, I’m smart. And then later, when those kids mess up, which they will, they think: Oh no, I’m not smart after all. People will think I’m not smart after all. And that’s the worst. That’s a risk to avoid, they learn.“Smart” kids stand to become especially averse to making mistakes, which are critical to learning and succeeding. People are born with some innate cognitive differences. But those differences are eclipsed by early achievement. When people perform well (academically or otherwise) at early ages and are labeled smart or gifted, they become less likely to challenge themselves. They become less likely to make mistakes, because they stay in their comfortable comfort zone and stop growing. And their fixed mindset persists through adulthood. The idea of a fixed mindset, in which people are smart or not smart, stands in contrast to a growth mindset, in which people become intelligent and knowledgeable through practice. Speaking of percentages, math is a good example of the importance of avoiding the fixed mindset. The idea of a “math person” or a math gene is a primary reason for so much math nihilism, math failure, and “math trauma. When kids get the idea that they “aren’t math people,”. They start a downward trajectory, and their career options shrink immediately and substantially. There is also the common idea of a wall in math: People learn math until they hit a wall where they just can’t keep up. That wall may be trigonometry, and it may be advanced calculus, and it may be calculating a tip. In no other discipline but math are people so given to thinking, instead of I need to practice, just Well, I’m not good. There’s nothing wrong with congratulating your child when she does a great job, but flattery that focuses on her abilities or character can come with a lot of pressure for a kid to live up to that praise. It is best to direct compliments for kids at their efforts. It is assure them that you love them unconditionally—so that when your they do something not so smart (as kids are bound to do). They know that’s OK too.